Rolex Submariner Date 16610. 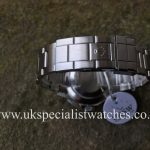 Stainless steel 4o mm case.Black Swiss T 25 dial and sapphire crystal glass. 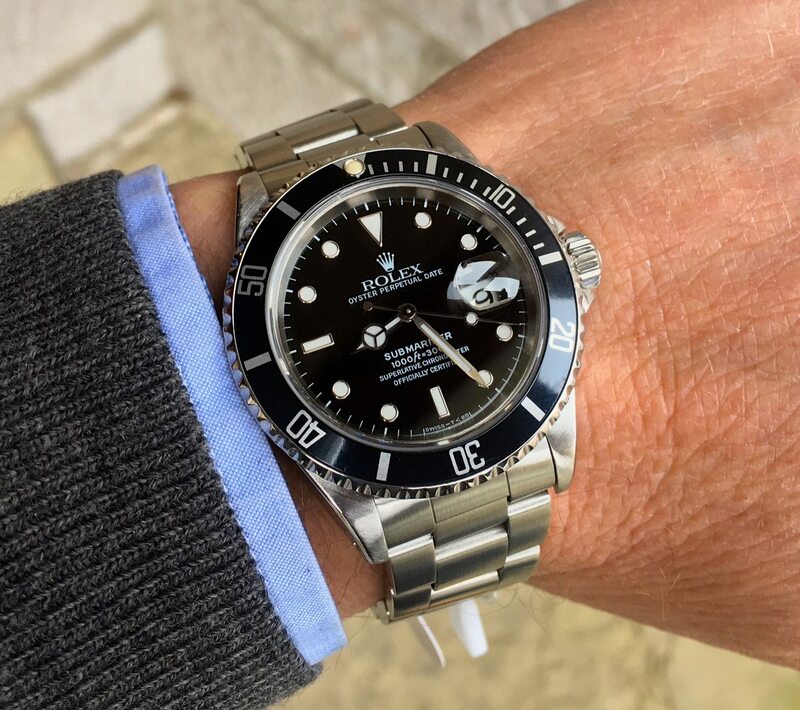 Black bezel insert. 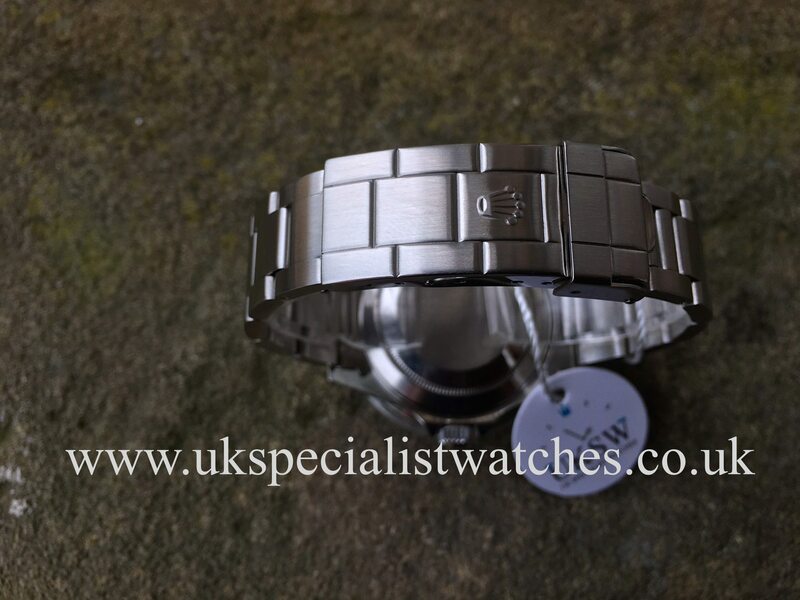 Fitted to a 93150 stainless steel oyster bracelet with double folding clasp. 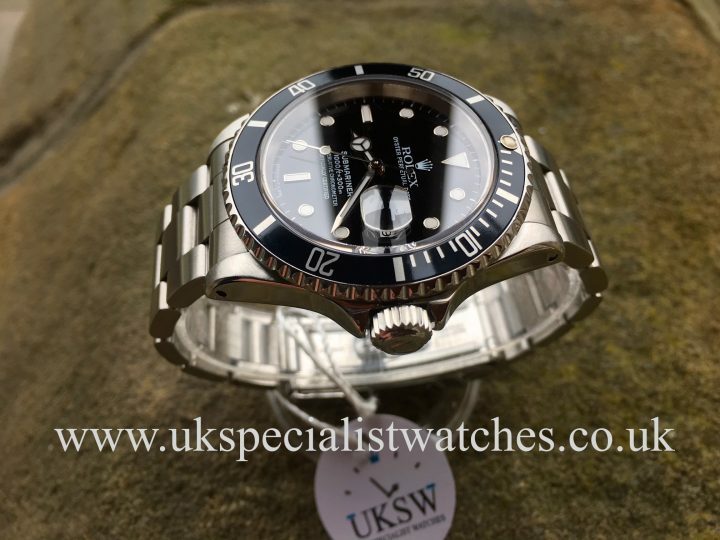 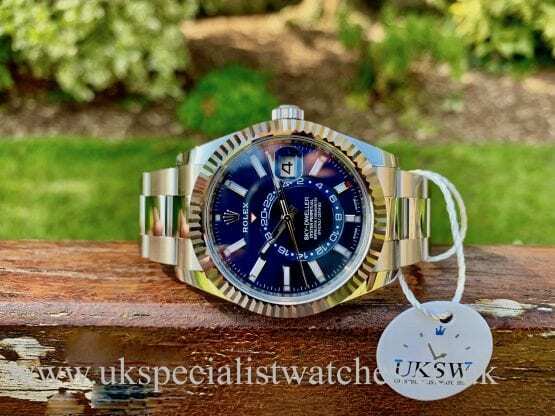 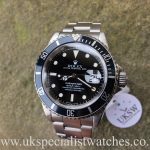 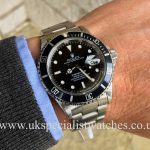 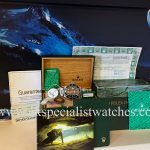 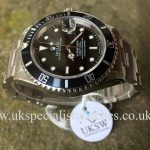 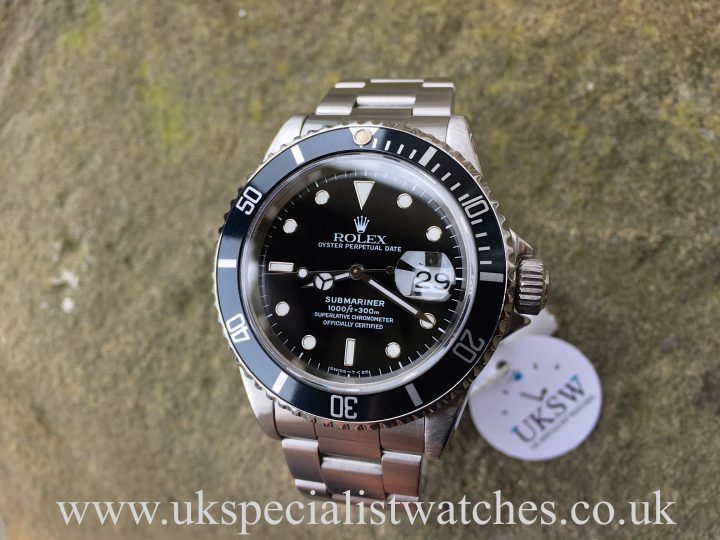 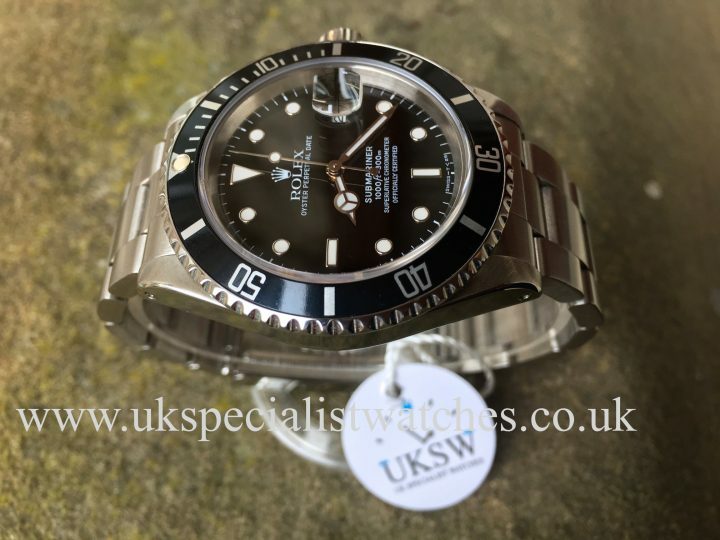 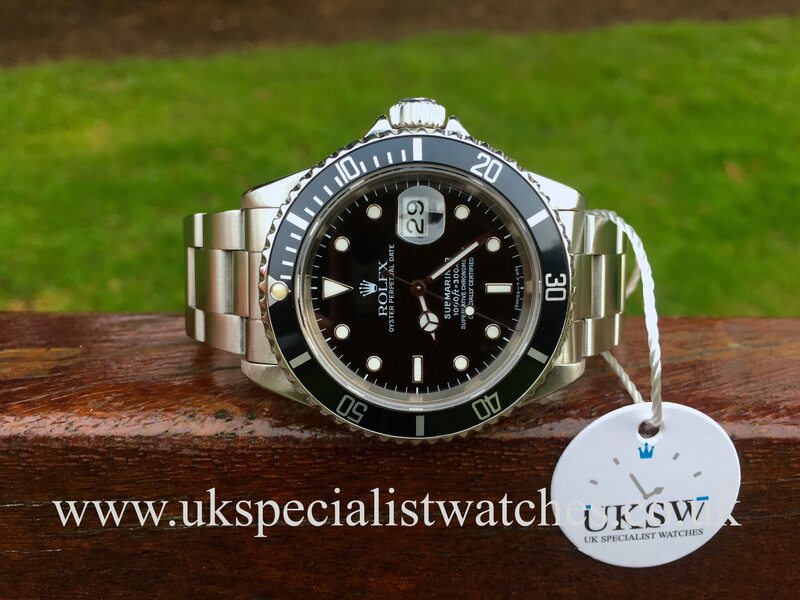 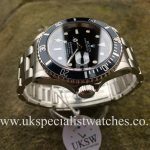 The Rolex Submariner 16610 was first introduced in 1987 after its predecessor the 16800 and the Black Swiss T 25 dial was discontinued in 1997 when the ceased using Tritium and moved over to Luminova, making the Swiss T25 dials much more collectable especially full set examples like this! Prices of the 16610 have been rocketing ever since its discontinuation in 2010 making it an absolute concrete investment! 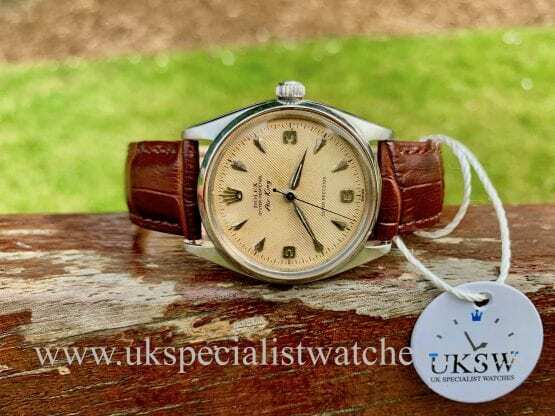 Our totally pristine example has just started to show a gentle creamy patina to the hour markers and bezel pearl, also with its super sharp case still showing original chamfers to the shoulders proving the watch has had minimal polishing throughout its lifetime. 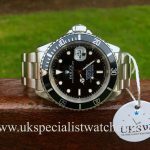 UK supplied new in August 1994 S280*** serial number. 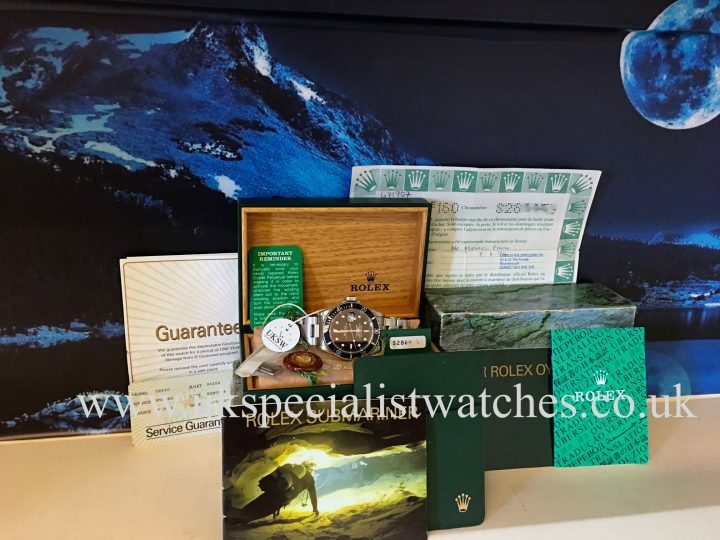 Comes totally complete with all boxes papers, both booklets, translation booklet, swing tags including the original serial’d tag. Rolex service receipt dated October 2003.